I’ll be doing a whole post on frozen meals later! If you want to save the list to your Pinterest board, you can pin the image. 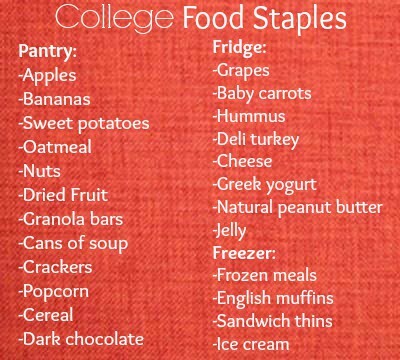 Question: Do you have any college food staples to add? great post! i am in college to so its always nice to have healthy food around! Sweet potatoes are my favorite! 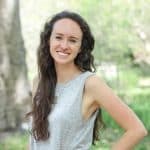 I just got accepted to Chapel Hill so I am super curious as to how you would bake you sweet potatoes? Or do you microwave them? Awesome list, by the way! Just read your post about meal plans too. Thanks! And if you decide to come to UNC, please let me know if you have any questions! I’d love to help!